As proof this company has found a way after the demise of Dave Goulet, Quad City is introducing the new E-series Challenger. 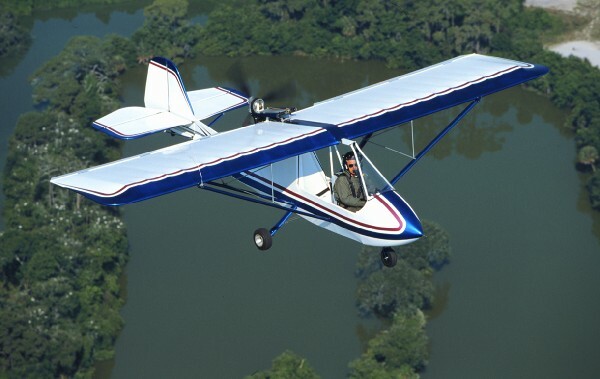 Get more details here, but a summary is… Quad City’s partner, National Ultralight, said “[Our new] EL-65 is a long wing, two seat, high power, high lift aircraft well suited for amphibious floats, heavy loads and high density altitudes. The new ES-65 is a clip wing derivative of the EL-65 optimized for speed with a wing four feet shorter. The first single seat Challenger ultralight a third of a century ago evolved into a full line of kit-built aircraft with a wide mix of models, options and accessories. A new Challenger 103 expands the line back to the grass roots and the new Challenger Light Sports are the line's most dramatic ever step forward. (Note that Quad City does not offer a fully-built SLSA model despite use of the Light Sport term; all Challengers are kits.) “Affordable” is a variable term that depends on an individual’s budget. What one pilot might afford another cannot. Yet how about this offer from Quad City? 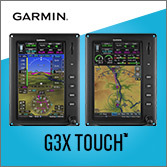 “Quick-build packages including airframe, instruments, engine, prop, […everything you need] start at $29,975.” I have to judge that a remarkable bargain in light aviation. ”Join us in Erie, Illinois on September 14-16, 2018 to celebrate the 35th anniversary of the Challenger.” The company has done this before at earlier benchmarks and attracted hundreds of Challenger enthusiasts and dozens of aircraft near their home base. People attending the Midwest LSA Expo over September 6-7-8 could travel a modest distance and catch this complimentary event. For more about Quad City and Challenger, see all reports on this website here. Watch for an upcoming video interview at Oshkosh 2018 soon. One essential visit at AirVenture Oshkosh 2018 was to the Quad City booth in the Fun Fly Zone. This iconic company in the very light aircraft sector is celebrating 35 years in business. Hearty congratulations to this midwestern USA company for supplying highly affordable aircraft for more than three decades. Even after the loss of their founder, Dave Goulet, the enterprise has carried the torch to the delight of many pilots. Today, after all those years, the company can report more than 4,000 Challengers are flying. Along with a few other giants of light aviation, this is one of the great success stories in fly-for-fun aircraft. All have built as kits and one reason for this achievement is care in making the kit an easy project. For its entire existence, Quad City has followed an admirable system: “Our philosophy is for [the factory] to do all the important and demanding structural work, including installing the controls. MIDWEST LSA EXPO 2012 -- One of our series of many short videos from the fall show, this one on the Challenger. Producer Quad City Ultralights is one of the most successful light aircraft kit producers in aviation with more than 2,500 aircraft flying and stable leadership of more almost 30 years of the same ownership. In this short video, we speak to one of their good local dealers, Jim Robinson, proprietor of Erie Airpark. MIDWEST LSA EXPO 2012 — One of our series of many short videos from the fall show, this one on the Challenger. Producer Quad City Ultralights is one of the most successful light aircraft kit producers in aviation with more than 2,500 aircraft flying and stable leadership of more almost 30 years of the same ownership. In this short video, we speak to one of their good local dealers, Jim Robinson, proprietor of Erie Airpark. Quad City Ultralights of Iowa is one of the oldest suppliers of light aircraft, having celebrated their 25th anniversary in 2008. With more than 3,500 aircraft flying, Quad City is also one of the most successful. We examine their Challenger II Light-Sport Special model at AirVenture 2011 and speak with company founder, Dave Goulet, who remains in charge of the company since its founding. He had one of the longest runs as president of an airplane manufacturer and guided his company to produce an impressive 4,000 aircraft. Few other companies can boast such a record. I am writing about Dave Goulet, president of Quad City Aircraft. Dave passed away last week after a battle with cancer. He was 68 years old. The company he founded in 1983 has supplied low-cost, well-flying aircraft. Over the years I've had the pleasure to fly and report on most of Quad City's models and you can click Challenger to read more. In this 2011 video, Dave discusses his airplanes that can be bought for $25-40,000, numbers that include everything you need to fly and, as he reported on camera, build times can be as low as 150 hours thanks to all the work Quad City does at the factory. In celebration of the long run for the popular flying machine, a couple hundred people drove and 56 Challengers flew to Erie Airpark in Illinois on September 19-21, 2008 to celebrate the 25th Anniversary of the Challenger line of aircraft. Though often speaking in a soft voice, Dave was surely in his element among the large flock of Challenger pilots who have so enjoyed flying his creations. "I started the company in 1983, and I still own it," said Dave a few years back. "In fact," he added in the earlier interview, "it's probably the oldest ultralight company still under the same management." After reviewing all the ultralight companies still operating, I agree with his assessment. Although he had associates Goulet was the main man behind the Challenger aircraft design and Quad City Aircraft company. Thinking of other long-term operations, Goulet mentioned Kolb Aircraft, Quicksilver and CGS Aviation run by another longtimer, Chuck Slusarczyk. However, the first two sold several times and even Chuck dabbled with outside ownership and management before finally selling the company. That left Goulet standing tall as the person holding the reins for the longest continuous operation of an ultralight aircraft company. Rans Aircraft boss Randy Schlitter has been at it a comparable amount of time and did once make ultralights. However, for the type of aircraft most people think of when they hear "ultralight," Quad City Challengers are a leading example. The Challenger design has been an unqualified success for more than three decades. According to representative Carol Oltman the company will continue to manufacture and sell Challengers. I'm sure Dave would be very pleased to hear that. He had one of the longest runs as president of an airplane manufacturer and guided his company to produce an impressive 4,000 aircraft. Few other companies can boast such a record. I am writing about Dave Goulet, president of Quad City Aircraft. Dave passed away last week after a battle with cancer. He was 68 years old. The company he founded in 1983 has supplied low-cost, well-flying aircraft. Over the years I’ve had the pleasure to fly and report on most of Quad City’s models and you can click Challenger to read more. 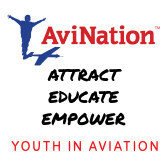 In this 2011 video, Dave discusses his airplanes that can be bought for $25-40,000, numbers that include everything you need to fly and, as he reported on camera, build times can be as low as 150 hours thanks to all the work Quad City does at the factory. In celebration of the long run for the popular flying machine, a couple hundred people drove and 56 Challengers flew to Erie Airpark in Illinois on September 19-21, 2008 to celebrate the 25th Anniversary of the Challenger line of aircraft. According to the author, the Challenger boasts a surprisingly roomy cockpit, which is due in part to the fact that the design features tandem seating. The panel is small, but there's enough room for basic instrumentation. The Challenger's fuel tank rests behind the rear seat, which is folded forward in this photo. First-time builder Allen Mader completed his Challenger in 700 hours, but he says that the process could have been quicker. The author says landings are easy and recommends a final approach at 30-35 mph. The plane retains energy so well that pilots who come in too fast will end up floating excessively before touchdown. Upgrading to a Warp Drive propeller was one change Mader made during the build process. Mader opted to install a BRS airframe parachute in his aircraft. To activate the 'chute, the pilot simply pulls the red handle mounted directly above the front seat. Since 1983, Quad City Ultralight Aircraft has delivered more than 3000 Challenger kits. For 21 Years, Quad City's Challenger has proved a good choice. It's enough to create a serious case of envy among producers vying for the market the Challenger seems to own year after year. Even in 2003, a slow year for all aircraft manufacturers, Quad City Ultralight Aircraft pumped out another 120 kits. Most light-sport aviation companies would consider that an excellent performance. For Quad City, it was a down year! The venerable company from the Quad Cities area of Iowa, near the Illinois border, has put more than 3000 aircraft in the air. Van's Aircraft has done even better, and Quicksilver has more than 10,000 ultralights flying, but the Challenger is clearly one of the industry's leaders. And the company has enjoyed the same leadership since it was founded more than two decades ago. Despite this success, Quad City maneuvers rather quietly. Last year the company celebrated 20 years of operation, yet many ultralighters and most aviators were unaware of the accomplishment. And this year, Quad City reached another milestone with the 20th anniversary of the two-seaters that have made up the majority of its production. The Demo Plane Duo For this review I had a chance to fly two different two-seat Challengers. One was built by Al Mader, a middle school art teacher in Medford, Wisconsin. Though Mader instructs seventh and eighth grade students (a task most pilots wouldn't dare attempt), he had never before built an aircraft. He took his time and got it right. "With all the head scratching I did," Mader says, "it took me more than 700 hours to build the plane. It wouldn't have to take that long." Indeed Quad City's fastbuild kit is one of the Challenger's strongest sales arguments. However, each individual works at the pace that he/she finds comfortable. Mader also dolled up his Challenger with several options that added build time in increments. For example, he has the special leading-edge treatment that places a wide cut of aluminum sheet over the entire wingspan reaching from the underside and wrapping around to 12 inches aft of the leading-edge spar. "It gets rid of the scalloping that happens between ribs without the metal," he says. In addition, Mader installed wheelpants, a three-blade Warp Drive propeller, Quad City's fiberglass nosecone, an ELT, the factory Hoerner wingtips, an EIS engine monitor and a parachute system. With all these deluxe options, Mader's Challenger weighs 500 pounds empty—but empty weight can be much less. He's flown lighter versions and feels like so many other ultralight pilots who have experience in lighter and heavier versions of the same model. "If I did it all over again, I would make the plane as light as possible," Mader admits. "The lighter ones fly better." Mader received his first taste of ultralights with Don Zank of Zanklites, who also sold him the kit. A 4000-hour pilot in Challengers alone, Zank is one of the country's most experienced dealers for the Iowa producer. He also represents Titan and Loehle aircraft and may become the man behind the Patriot [see the "Dreams of a Patriot" sidebar]. Headquartered in Bloomer, Wisconsin, at the Gateway airport he now owns, Zank works with many area pilots to whom he sells aircraft. And for years, Zank has been the face of Quad City at Oshkosh AirVenture. Though he handles the other brands, Challengers are still the backbone of his enterprise, and he now runs the company's display at the big summer event. When I flew with him, I saw a pilot in good harmony with his flying machine and one who remains excited about them after all those flight hours—maybe its because of all those flight hours. Successful Company, Successful Design The truth of Quad City's success may be revealed by this grudgingly complimentary statement by a competing manufacturer: "They [Quad City] build a low-cost ultralight and deliver it swiftly." For more than two decades, the company has been satisfying pilots and challenging its competitors. Quad City supplies an airworthy machine that brings flying enjoyment combined with an unusual ease of building—the company does a substantial part of the assembly, saving the builder considerable hours. Quality and flight characteristics notwithstanding, consistently low prices and quick shipments surely are a big part of Quad City's success. Halfway into its current life span, the design sought to win British certification under the U.K.'s BCAR-S program for microlight aircraft—a demanding task nearly equivalent to earning FAR Part 23 certification. Although a few modest changes were made (Quad City increased the height of the vertical stabilizer), British authorities eventually gave their stamp of approval. 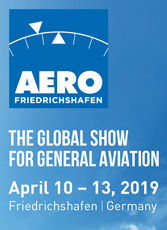 Though Americans don't use the Civil Aviation Authority's system, winning British certification will reassure many buyers. 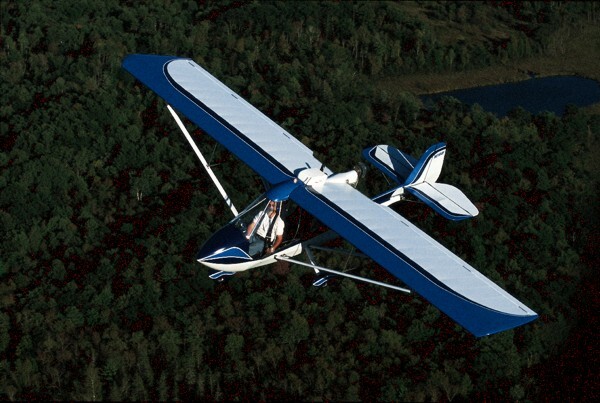 To me, one of the most endearing qualities of the Challenger is its light weight when compared to many ultralights. A two-seat Challenger with basic but sufficient equipment tips the scales at barely more than 300 pounds empty. 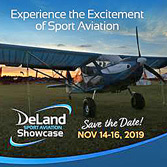 You can build a single-seat model that weighs almost 20 pounds less than the FAA's 254-pound limit for Part 103 (which, by the way, is not going away with the arrival of the sport-pilot/light-sport aircraft (LSA) proposal). As Mader came to learn from his building and flying experience, light weight benefits handling and low-speed performance. The slower speed realm of ultralights is an endearing capability, and keeping weight low is one of the best ways to ensure these capabilities. But while Challengers can be light, they are also surprisingly roomy— partly a benefit of tandem seating. If you want a plane that won't squeeze you, here it is. Especially with doors that curve outward to add dimension, Mader's plane was roomy. In a tandem aircraft, no one rubs elbows with you or blocks your vision to either side. Challengers are quite maneuverable on the ground. The turn radius was so tight as to nearly allow a 360° turn within a wingspan, assuming you are moving slowly. The inside maingear wheel appeared to scribe a circle only a few feet in diameter. Most pilots appreciate crisp taxiing, and it is certainly handy on a crowded airport ramp. In-Flight Characteristics Having taxied to the proper end of Gateway Airport's north/south runway, I added power. Following a brief ground roll, we rotated at barely more than 30 mph indicated, and we were flying. After a couple takeoff and landings, I was reminded how easily the Challenger goes into the air and just as simply returns to the runway. Controls are cooperative and have no touchiness to them. Advice I'd been given earlier still applied, namely that you can approach at 30-35 mph and you shouldn't let it exceed 50 mph. The plane retains energy quite well in ground effect such that at 60 mph, you'd float excessively before getting it on terra firma. When I later flew with Zank, he demonstrated one of the deepest, slowest slips I have ever seen in any aircraft. It felt like we were descending vertically yet on releasing the controls, the Challenger simply started flying as though no changes had ever been made. Despite their easy handling during takeoff and landing, Challengers exhibit an odd adverse yaw quality. When sampling the reaction to aileron-only input with no rudder control application, Zank's Challenger went around an entire circle the wrong way assuming you do not release the control input. Naturally, you wouldn't hold them this way as I did, and when controlled in a conventional manner, the Challenger shows the conventional handlingcharacteristics. Fortunately the good aspects of the Challenger's handling are many. Coordinated control authority is strong, allowing operations even in strong crosswind conditions. Control pressures are light, keeping pilot fatigue to a minimum. In general, the Challenger exhibited good response in all axes, and harmony was quite reasonable. But you must use the controls together, just as your instructor taught you. It's easy to design crisp handling at higher cruise speeds, but the Challenger particularly shines at slow-speed handling, superior to many other designs. And it is the slow speed ability of ultralights that charms many pilots. Even with the eventual arrival of LSA, it is low-and-slow flying that remains the domain of ultralight aviation, and the Challenger does particularly well in this regime. However, the low-speed capability doesn't prevent the aircraft from offering speeds with more zip. When you push the nose over, the design moves out smartly. In level flight with higher power settings, I noted airspeed can accelerate beyond 70 mph. At full throttle or with a larger engine, Challengers can hit 100 mph (their Vne). The light weight of the design also helps in performance areas like takeoff ground roll and reduced-power descents. The idle-thrust sink rate of a lightly built Challenger can be as low as 400 fpm, better than many ultralight designs. 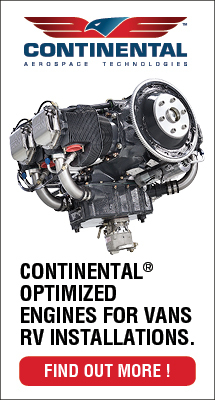 Should your engine take a vacation, you'll appreciate the extra time aloft to determine your approach. Long in the Saddle After 20 years of market success with many aircraft flying at airfields across the country, Challengers boast an enviably good safety record. You simply don't hear of many problems with the design, and it rarely shows up in serious accident reports. A good preliminary design with long and slow evolution, careful quality control, understandable builder instructions and corrections to known deficiencies are all desirable goals of any aircraft manufacturer. However, even well-designed aircraft can still have problems. The Challenger's low level of incidents may say more than all the testing or any number of product evaluations. If pilots don't often crash in a plane when measured over a long time, most experts would agree that the engineering must be up to the task. Lower speeds and low kinetic energy are strong attributes of ultralight aircraft. The Challenger line, especially the longer-winged models, makes good use of these energies. Since the ultralight is docile at slow speeds, I was able to deliberately miscontrol the airplane in the low 30s—it just wanted to keep flying. In more conventional verifications, I performed a longitudinal stability series of pushing or pulling the stick and releasing. Some designs will return to level flight faster than the Challenger, but the design was positive in all such checks. I also tried stalls in all the usual configurations (power off, power on and accelerated). All were mild. When the wing does quit flying, the Challenger seems to pivot at the top, lower its nose a bit and then resume flying as if the stall never happened. In an earlier flight test, I tried to spin the Challenger after Zank told me I wouldn't be able to do it. For the most part he was right, though I was able to get a modest partial spin to the right. Virtually confirming his confidence, the Challenger flew itself out of the spin even though I tried to hold it. A Fair Challenge In an age when light-sport airplane costs are zooming upward well beyond $50,000, Challenger remains a bargain. Plus you can get one rather quickly should you make the decision to buy. As long as Zank has represented the company, the worst delay he ever experienced was 90 days. Normally 60 days is plenty for delivery, and it can be much faster depending on the model you want and the time of year. Challengers are available in four configurations: •Ultralight—and yes, it can qualify for Part 103 if you build carefully. •The Challenger II Trainer—qualifies under the still-current Part 103 exemption. •The Special single-seater and the Challenger II Special—both must have N-numbers. The Special models are clipped-wing, higher-speed performers. They also tend to be equipped as more deluxe versions coming standard with features like the flaperon system, faired struts, wheelpants, a larger fuel tank and a complete door kit. Naturally, these extras add weight and cost over the basic models. 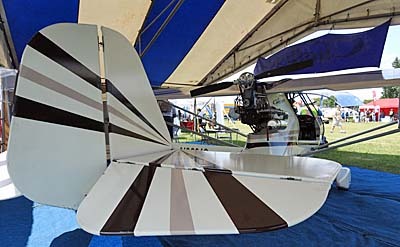 The Ultralight model sells from $10,700 to $13,800, depending on which engine you choose. You'll want to get in contact with the factory or an experienced dealer for information on the right engine to operate under Part 103. The two seat Trainer models run from $12,900 to $16,400, and even these figures are low among two-seat aircraft. With his many options—including a $3000 parachute—Mader reports investing $18,000 for his optioned out Challenger. Even at that expense, you could afford a small fleet of Challengers for the price of one fiberglass model from Europe. Zank likes to add his own selling points: "All Challengers are effectively quickbuild kits. The factory handles all the more demanding structural work, including installing the controls." Most companies charge a considerable extra fee for their quickbuild option. "First timers usually take less than 300 hours to complete the assembly including covering and painting," Zank says. Once your Challenger has been completed, it only takes a half hour or so to remove or reinstall the wings for storage or trailering. The price of quickbuild kits for the Challenger, which include the engine and all covering materials except paint, haven't gone up significantly in the last decade. The reason for this may be that the design is evolving rather than radically changing. You'll want to compare costs carefully, as most other kit manufacturers publish price lists that exclude the engine just as they charge a premium for quickbuild versions. Mader offers his own advice on the subject. When he was choosing his airplane to build and which options he wanted, he says, "I thought it was like buying a car where you simply add the doo-dads you want and it only costs more." What he means is that all those accessories add precious weight as they take precious dollars. For pilots on a budget, the Challenger offers a good value, no question. The quartet of models has also satisfied a large number of customers by providing a handling and performance package with a strong safety record. 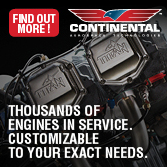 And with dealers across the country, Quad City's Challenger line represents a firmly established brand, so building and maintaining your Challenger should be a straightforward task. 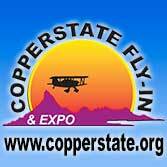 It seems as if Quad City Ultralight Aircraft has covered all the bases important to recreational pilots. FOR MORE INFORMATION, contact Quad City Ultralights at 309/764-3515 or visit www.quadcitychallenger.com. For Zanklites, call 715/568-2244 or e-mail donzank@zanklites.com. Notes: 1 The first set of numbers is for the long-wing Challenger II Trainer, the second set is for the clipped-wing Challenger II Special. Notes: 1 Performance specs as tested for the Challenger II Trainer. Standard engine is Rotax 447 (40-hp). For 21 Years, Quad City’s Challenger has proved a good choice. It’s enough to create a serious case of envy among producers vying for the market the Challenger seems to own year after year. Even in 2003, a slow year for all aircraft manufacturers, Quad City Ultralight Aircraft pumped out another 120 kits. Most light-sport aviation companies would consider that an excellent performance. For Quad City, it was a down year! The venerable company from the Quad Cities area of Iowa, near the Illinois border, has put more than 3000 aircraft in the air. Van’s Aircraft has done even better, and Quicksilver has more than 10,000 ultralights flying, but the Challenger is clearly one of the industry’s leaders. And the company has enjoyed the same leadership since it was founded more than two decades ago. Despite this success, Quad City maneuvers rather quietly. Last year the company celebrated 20 years of operation, yet many ultralighters and most aviators were unaware of the accomplishment. With over 2,500 aircraft kits shipped, there are Challengers of every color flying throughout the United States. 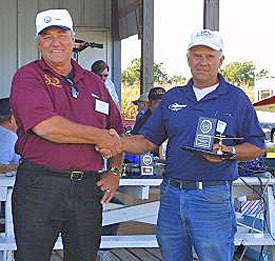 Privately owned Challengers have garnered a number of awards at fly-ins around the country, including, right, Steve Lee's green and white clipped-wing Challenger II and Ben Dawson's Clipped-Wing Special, above, both of which were named Grand Champion aircraft at Sun 'n Fun in years past. Here's how the Challenger II fuselage is shipped to builders.. well, okay, the seat cushion isn't already in place. The father and son team of Quent and Mark Gerlach of Oshkosh, Wisconsin, who are currently assembling this Challenger II, just couldn't wait to sit inside and start making airplane noises! The standard-wing Challenger II, shown here, has a wingspan of 31.5 feet versus 26 feet for the clipped-wing version. Total wing area for the standard wing is 173 feet versus 143 for the clipped-wing. While Dacron was used to cover the wings of early-day Challengers, most builders today choose one of the standard aircraft covering processes such as Poly-Fiber or Superflite. Skis and floats are popular on Challenger aircraft; offering year round flying in northern areas, especially Canada, and adding versatility to fair weather flying as well. "I started the company in 1983, and I still own it," reports Dave Goulet, the main man behind the Challenger aircraft design and Quad City Ultralight Aircraft Corporation. "In fact," he adds, "it's probably the oldest ultralight company still under the same management. "After reviewing all the ultralight companies I can think of, I'm inclined to agree." Thinking of other long-term operations, Goulet mentions The New Kolb Aircraft Company, whose roots are also planted deep, but even that storied company has now changed ownership... twice in the last decade, and most recently just a couple years ago. Quicksilver Mfg. has been around longer, but the revolving door of managers and several changes of ownership have long since taken that familiar brand out of contention for continuous leadership. About the only challenge to Challenger's continuity reign that I can think of would be Chuck Slusarczyk, designer of the Hawk series, and his company, CGS Aviation. However, even Chuck dabbled with outside ownership and management back a decade or so ago. That leaves Goulet standing tall as the person holding the reins for the longest continuous operation of an ultralight aircraft company. One thing is certain: The Challenger design has been an unqualified success any way you look at it. They've sold well for years, and they still sell well. Old and Successful The ultralight industry isn't known for the longevity of its companies. When I wrote a piece about the industry in 2000, I researched back to 1975, tracing the lineage of ultralights back to the earliest names like John Moody, Larry Newman, Lyle Byrum, Homer Kolb, Jack McCornack, and other ancient luminaries of this tiny industry. Certainly a few names got to the party ahead of Goulet's Quad City Ultralight Aircraft Corporation, yet the greater measure may be sustained success. The Challenger is now beyond 2,500 units delivered. They say, and I concur, that their brand is one of a very few to achieve such market stature. Some folks tease the company about its distinctive ad, which has not changed for better than a decade. "How can they never change their ad and never change their plane and still sell so many?" is a lament I've heard from several prominent manufacturers in the ultralight/light plane industry. The truth is, change has been a part of Quad City Ultralights, even though a casual glance might seem to suggest otherwise. Constant and Never Ending Improvement (CANI) Years ago, I learned from then-owner Phil Reed of SkyStar Aircraft of a product development method called CANI, or constant and never-ending improvement. Especially in this age of high-speed Internet life cycles, companies can't produce the same aircraft year after year. But hasn't the Challenger design stayed almost the same since it began, people counter. Well, if you don't look closely, the question sounds valid. A child grows so gradually that a parent may not notice the change, but an infrequent visitor can be struck with what seem to be dramatic differences. Likewise, the Challenger design has actually undergone dozens and dozens of changes, some big, some minor; perhaps we just haven't noticed. This is actually a story of persistence and the refinement of a design. From virtually day one of Challenger production, the company has made several changes per year to improve the overall quality and durability of their airframe. Quad City Ultralights also made periodic changes to the control linkage, with the goal of bettering the aircraft's handling. For example, in 1985 the aileron bell crank was changed so pilots could adjust for more aggressive response. A year later a similar change was made for the same reason on the rudder. In 1987, the elevator shape was transformed to incorporate a curved trailing edge that designers felt improved the aesthetics, but it made very little change in the design's flying characteristics. Later, the factory added a choice in wing coverings, from sewn Dacron sails to certificated aircraft fabric, to increase durability (some owners also feel painted surfaces improve performance and handling). By 1988 optional streamlined struts and gear fairings became available. These two changes alone were said to measurably improve the sink-rate performance of Challengers. 1988 was also the year a clipped-wing single-seater was offered, resulting in further improvements in performance and handling by using higher wing loadings. Shortly after, a clipped-wing version of the two-seater broadened the product line, although for years the models going to Canada had slightly greater spans to meet regulations in that country. By 1996 the span of the Canadian-export was reduced from 28 feet to 26 feet to be consistent with other models shipped around the world. (A change in Canadian regulations eliminated the previous wing-loading minimum that necessitated the longer wing.) Powering the Challengers Since Quad City Ultralights put their first KFM-powered single-seater into production in 1983, the company has changed recommended powerplants several times. The KFM engine was dropped in 1984 when the Rotax 447-powered Challenger II entered production. In those early days Quad City Ultralights used Rotax engines but employed a Hegar belt reduction drive unit rather than the gear drives so common today. Sport flying enthusiasts with enough history to remember those reduction drives may also recall that mufflers on those mid-1980s ultralight engines were a constant source of problems. Indeed, in 1985, Quad City introduced their own stainless steel, wraparound exhaust mount for the Rotax. In that same year the company also added optional long-range fuel tanks totaling 10 gallons, a function of larger, more powerful engines that demanded more fuel. By 1986 Quad City Ultralights developed a mount to permit the higher horsepower Rotax 503 to be used as an option. With bigger engines came more difficult starting, hence the addition of an electric starter in 1988. However, the Challengers of those days could not use the Rotax-brand electric starter, so the company developed their own built around the ADS system. Many ultralight pilots who entered the sport in the early 1990s remember that Hirth engines were a common sight on Challenger aircraft, too, as the company included the Hirth 2703 model as an alternative to the Rotax 503. Despite the interest in Hirth, Quad City Ultralights focused on the Rotax 503 when the long-awaited aircraft version was introduced in 1990 with many refinements over the earlier snowmobile-derived engine. Given Rotax's then-new thrust into the aviation marketplace, it's no surprise that Quad City Ultralights ended up with the Rotax brand powering most of their aircraft. 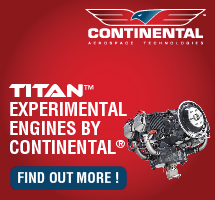 Nonetheless, the company supported Hirth engines for several more years. In fact, in 1991 Hirth also came out with a dual electronic ignition system that helped the brand compete with Rotax. 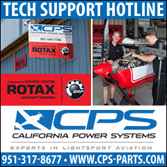 By then, Quad City Ultralights was able to drop the ADS starter and replace it with the Rotax brand that customers favored. 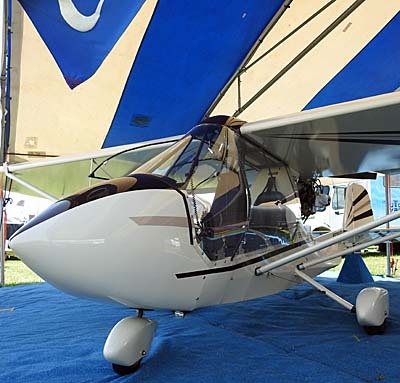 In the later 1990s, Quad City Ultralights solidified Rotax engines as the powerplant(s) of choice and made minor changes in reduction drive gear ratios and prop size to gain a 10-mph increase in speed and a commensurate increase in climb rate. Increasing Sophistication While engines are very important to pilots, so are creature comforts. Only one year after the first Challenger single-seat aircraft went into production, the Moline, Illinois, company added fabric and Lexan doors to increase comfort. With a very strong Canadian distributor, National Ultralights Inc., selling lots of aircraft in Canada's cold climate, protection from wintertime flying became a frequent buyer request. In 1986 Quad City introduced an optional winter enclosure comprising a wraparound windshield and a pair of removable doors. A couple of years later the simpler system for the single-seat models was improved to a wraparound enclosure. That same year the fuselage shape was changed, partly to facilitate spark plug access but also to provide room for a cabin-adjustable heater system. In 1989 optional smoked glass and tinted windshield and winter enclosures were offered to customers to decrease summertime cabin temperatures. Canada may be cold in winter, but the temperatures warm up generously in the summer months. Plus, many Challenger ultralights were being sold in the sunny southern United States. That same year fiberglass droop wingtips were added as a cosmetic option, and Challenger ultralights so equipped won awards at air shows that year. By 1992 an optional three-piece fiberglass gap cover created a smoother, more attractive fairing over the junction of the windshield and the wing and helped reduce drag at the prop hub. The year before, a more pointed fiberglass nose fairing became an option for the two-seater, and in 1993 the same option was offered for the single-seater. It wasn't until 1997 that a different pair of fiberglass wingtips was introduced. Ironically these were shorter, just 6 inches beyond the end of the spar versus 18 inches for the older tips. This cut the design's wingspan by 2 feet, which bumped up cruise and top speed, better meeting the cross-country desires of some Challenger buyers. The resulting stiffer wing was also said to improve the roll rate. 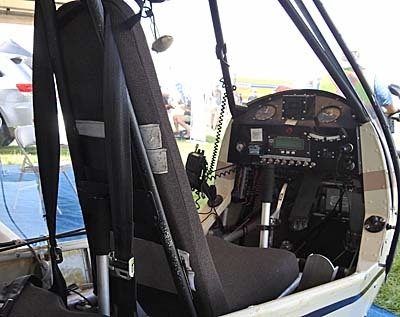 In 1998 Quad City Ultralights replaced their two-piece seat cushions with a one-piece design, as a few rear seat-back cushions had been blown out of the plane, sometimes going through the prop. Over the years, new seat designs have created a more spacious cabin for both pilot and passenger. As the new millennium started, the Challenger windshield and enclosure were upgraded from a 0.04- to 0.06-inch thickness in both clear and tinted versions. Other user-friendly additions over the 18 years of Challenger development include main wheel brakes first added in 1985. Four years later, the company supplied brakes pre-welded to the axles to simplify assembly, one of a long chain of efforts to make the homebuilder's job easier. In 1985 Quad City Ultralights followed general aviation tradition by bringing out their first airspeed indicators with color-coding to show the green, yellow, and red arcs that are appropriate to Challenger operation. The next year they introduced flaperons to the design, which were said to reduce stall speed by 5 mph. They also doubled as an in-flight trim adjustment. In those days, both features were quite rare. Optional Mylar-coated wing sails-built using pre-sewn Dacron construction-gave greater service life, added slightly to speed, and yielded an attractive, shiny appearance. 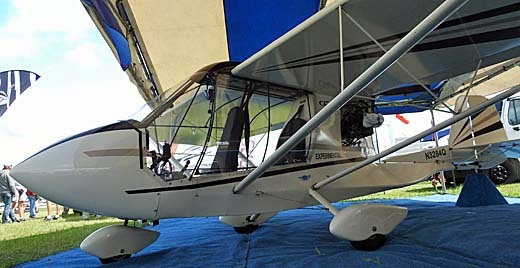 Since ultralights work so well on floats, the 1995 addition of Puddlejumper floats in amphibious form gave the Challengers a slick way for pilots to fly from water or land. Why Buy a Challenger? The king of Challenger sales is National Ultralight Inc., owned by Ian Coristine and his partner Bryan Quickmire, with their company accounting for an amazing 400 units sold in Canada alone. That's about one out of every six Challengers ever built! The two partners have a keen idea of why their sales are so strong. "By remaining focused on a single design, rather than constantly introducing new models for marketing hype, the Challenger has been refined to a much greater degree of performance and reliability," writes National Ultralight Inc., on their info-heavy website: www.Challenger.ca. In the area of performance, they state, "the Challenger has one of the widest speed envelopes of any recreational airplane." It manages to meet the designer's holy grail of a 4-to-1 speed range differential, operating from 24 mph to 96 mph (for the single-place, long-wing model). The buy-and-fly crowd-who tolerate building only to get what they want-love the Challenger's built-by-the-factory airframe. It isn't fully built, of course, needing to meet the 51-percent rule for those not flying under Part 103's trainer exemption. But the major components of the airframe-fuselage, wings, and tail-are manufactured at the factory prior to shipment. National Ultralight's Coristine explains, "Jigs are used extensively to insure accurate alignment during the construction process. This kind of precision would be very difficult to accomplish by homebuilders." Quickmire and Coristine tick off a number of their favorite purchase points: "All Challengers are effectively quick-build kits. The factory (does) all the important and demanding structural work, including installing the controls. "Most companies charge an extra fee (up to several thousand dollars) for their quick-build option. "First timers usually take less than 300 hours to complete the assembly, covering, and painting. The fastest time on record is 172 hours, with the average being 225 to 275 hours," say the two partners. Once your Challenger has been completed, it only takes a half hour or so to remove or reinstall the wings for storage or trailering. Quick-build kits for the two-seat Challenger II on wheels, including the engine and all covering materials except paint, range from $12,500 to $16,500. Most other manufacturers publish price lists that exclude the engine as well as the 40 percent to 70 percent premium charged for quick-build versions, if available! "You can have your Challenger assembled, covered, and painted for as little as $6,000 Canadian ($3,825 American, at current exchange rates). "This is legal under Canadian rules and permissible for an aircraft that qualifies under Part 103 or the exemption. Those on a budget may purchase a series of subkits-tail, wings, fuselage, and engine-paying for them as possible. National Ultralight boasts that the most popular floats and skis used on Challengers are made in Canada. Puddlejumper amphibious floats are priced at $5,400 Canadian ($3,450 American), while snow skis are $800 to $1,150 ($500 to $750 American) depending on the type. "The International Challenger Owners Association (ICOA), with 800 members worldwide, will put you in touch with other owners," claim Coristine and Quickmire. Three hundred members are in Canada alone. Right Then, Right Now? Almost no ultralight enthusiast would deny the Challenger is one of the standard bearers in the industry. Given the difficulty faced by many suppliers, Dave Goulet and Quad City Ultralight Aircraft have every right to be proud of their achievements over the years. Even financial officer Bill Ehlers expressed pride in having been Goulet's associate since 1983. He doesn't fly and hasn't been up in the aircraft for many years, but the satisfaction in his voice is obvious. Goulet, Ehlers, other principals over the years, and the entire staff can rightly sport a smile and the dignity of a job well done. The numbers speak for themselves. "Today, over 2,500 airplanes and 100 design changes later, the new Challenger is significantly more capable," expresses Coristine. In November of 1996 Quad City Ultralights shipped their 2,000th Challenger. They believe that only two other companies have ever reached this level of volume, and then only by offering several models that combine to reach this number of units. As a longtime veteran of this industry, I'm glad Quad City Ultralights remains successful. 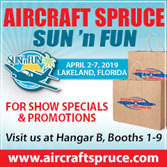 Companies like this create many happy pilots who have a bounce in their step as they make their way to the airpark for a little joy in the air aboard their Challenger. “I started the company in 1983, and I still own it,” reports Dave Goulet, the main man behind the Challenger aircraft design and Quad City Ultralight Aircraft Corporation. “In fact,” he adds, “it’s probably the oldest ultralight company still under the same management. “After reviewing all the ultralight companies I can think of, I’m inclined to agree.” Thinking of other long-term operations, Goulet mentions The New Kolb Aircraft Company, whose roots are also planted deep, but even that storied company has now changed ownership… twice in the last decade, and most recently just a couple years ago. Quicksilver Mfg. has been around longer, but the revolving door of managers and several changes of ownership have long since taken that familiar brand out of contention for continuous leadership. About the only challenge to Challenger’s continuity reign that I can think of would be Chuck Slusarczyk, designer of the Hawk series, and his company, CGS Aviation.